Fantastic 3 BR, 2 BA Hubert Lake Property with 184' of lake shore. Property has been used as a weekly rental generating over $38,000- in 2018 in rental income. Both main house and guest home are being sold fully furnished. Main home features vaulted knotty pine ceilings, custom log work, custom Hickory cabinets, granite counter tops, hardwood floors and security system, new light fixtures. The guest home features kitchen area, bath and bedroom above. 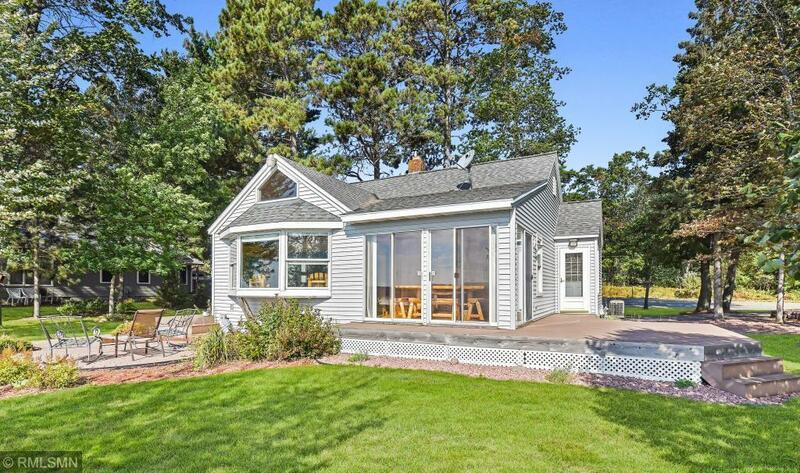 You will love the large yard, tar circular driveway, maintenance free siding, paver patio, central air, maintenance free deck, new riprap shoreline, fire pit area, sand beach, all nicely situated on one of the most desired lakes in central Minnesota, close to shopping and bike trails. Set up a showing today.